Obama stops the NSA from spying on the banksters while spying on us continues unabated. Doesn’t take much to figure out where his loyalties lie! (Reuters) – President Barack Obama has ordered the National Security Agency to stop eavesdropping on the headquarters of the International Monetary Fund and World Bank as part of a review of intelligence gathering activities, according to a U.S. official familiar with the matter. The order is the latest move by the White House to demonstrate that it is willing to curb at least some surveillance in the wake of leaks by former NSA contractor Edward Snowden of programs that collect huge quantities of data on U.S. allies and adversaries, and American citizens. 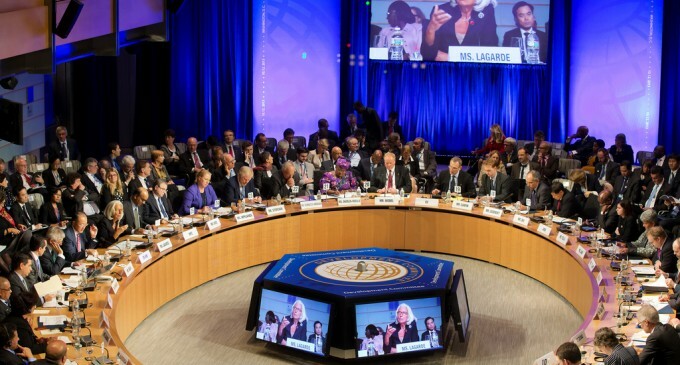 The NSA’s surveillance of the Washington-based IMF and World Bank has not previously been disclosed. Details of such spy programs are usually highly classified. The Obama administration official, who spoke on condition of anonymity, did not address whether the NSA had eavesdropped on the two entities in the past. The first official said Obama had ordered a halt to such practices within the last few weeks, about the same time he instructed the NSA to curtail eavesdropping on the United Nations headquarters in New York. The IMF and the World Bank both declined to comment. Representatives of the NSA and the Office of Director of National Intelligence had no immediate comment.